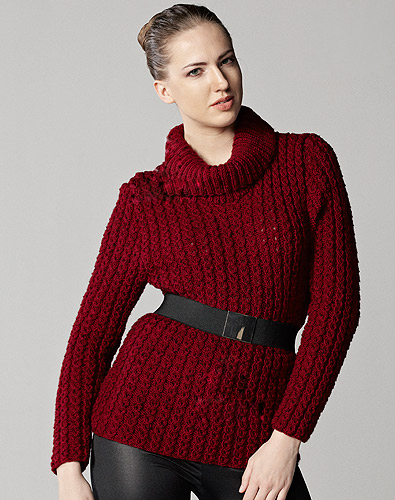 One of the indispensable clothes for women in winter is turtleneck sweater. I’ve had a lot of sweater patterns before, but it’s a little different. 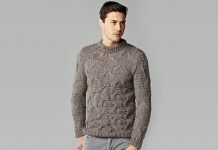 I know that this sweater pattern with cable knit is the favorite sweater of many women. I think you can easily understand the instructions I have prepared for the design. It will not be difficult for those who have previously done similar knitting jobs. I answer your questions about the pattern from my blog. Good luck. Cast on 97 stitches. Work the stitches knitting 3, purling 2, knitting 3…. After repeating this pattern for 2 rows, apply eyelet mock cable ribbing pattern. Knit the body for 34 cm and cast off 3+2+1 stitches at both sides for the armhole. When the body measures 58 cm, center the stitches; cast off 33 stitches in the middle together and also each 26 stitches remaining on the shoulders in the next row in 3 steps, and bind off. Cast on 102 stitches. 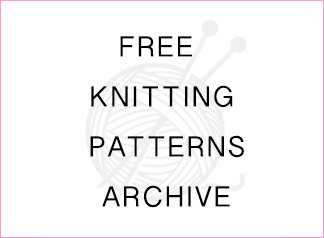 Work the stitches knitting 3, purling 2, knitting 3…. After repeating this pattern for 2 rows, apply eyelet mock cable ribbing pattern. Knit the body for 34 cm and cast off 4+3+2+1 stitches at both sides for the armhole. When the body measures 47 cm, cast off 12 stitches in the front middle part for the neck and continue knitting in 2 pieces. Cast off 1 stitch at both sides of the neck 9 times spacing 3 rows. When the body measures 58 cm, cast off each 26 stitches remaining on the shoulders in 3 steps and bind off. Cast on 52 stitches. Work the stitches knitting 3, purling 2, knitting 3…. After repeating this pattern for 2 rows, apply eyelet mock cable ribbing pattern. Knit the sleeve for 3 cm. Increase 1 stitch at both sides 13 times spacing 8 rows and get 78 stitches. When the sleeve measures 42 cm, cast off 1+2+3+4 stitches at both sides 3+20 times for the armhole. When the sleeve measures 60 cm, cast off remaining 14 stitches together and bind off. Knit the other sleeve in the same way, as well. Cast on 170 stitches and rib 2×2 for 15 cm. Cast off 1 stitch 25 times spacing 5 stitches, decreasing to 145 stitches. In the next row, cast off all stitches together and bind off. Seam at the beginning and ending edges and placing the seam in the back middle part, sew it around the neck. Eyelet mock cable knitting pattern is where? Does this patttern not have more sizes?